Posted on Jan 4, 02:44 PM in Main Course and Vegetarian. No comments. Looking for a quick, easy and healthy meal? This one is easy and can use frozen vegetables, if you have them. You don’t need to worry about your frozen vegetables. These days, they are pretty good quality and the nutritional content is fine too. In fact, frozen vegetables often have a higher vitamin and mineral content than fresh dues to the fact they are snap frozen soon after harvesting. I use this one at the end of the week to use up the veges. I know its a fairly basic one but its still a handy recipe :) If you would like to add some chicken, egg or fish: go ahead. Cook your rice according to the instructions on back of packet. Drain and rinse well. Steam vegetables, (or microwave vegetables in a little water on high for 10 minutes or until cooked to your liking). Sauté ginger and garlic for 1 minute in large non-stick fry-pan that has been coated in cooking spray. 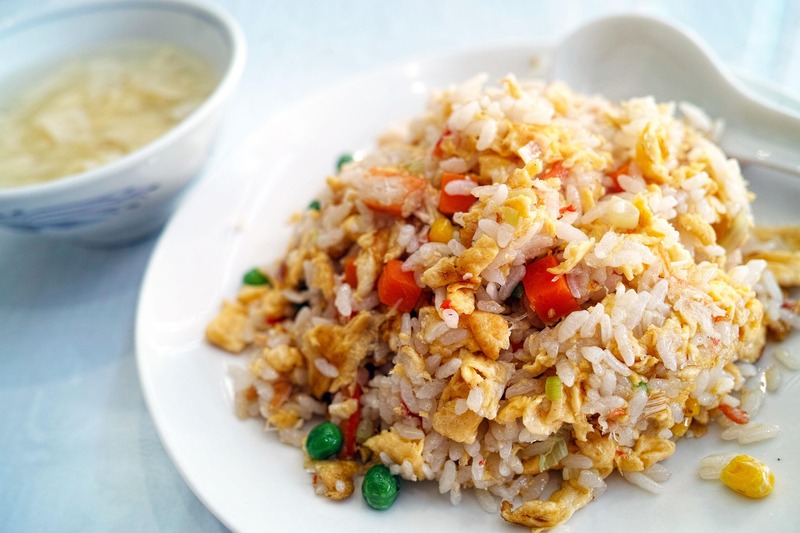 Stir in rice and five-spice, add soy sauce, and mix well.Add vegetables then toss ingredients together until well combined. Serve.